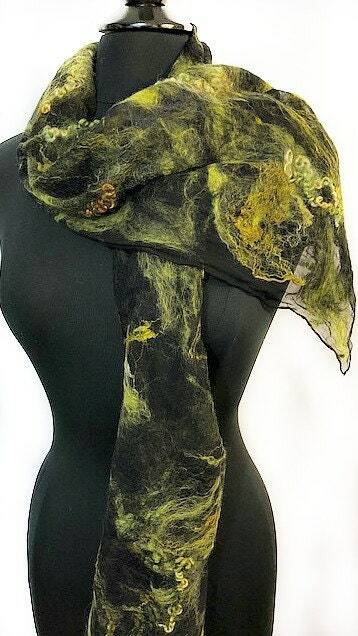 This chartreuse silk chiffon scarf is just waiting for the perfect black outfit to compliment! 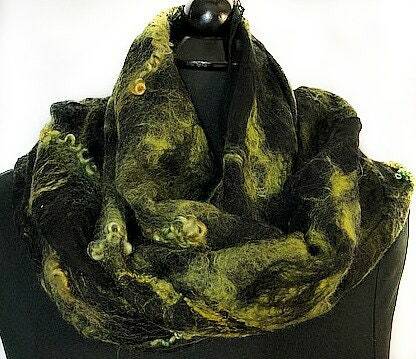 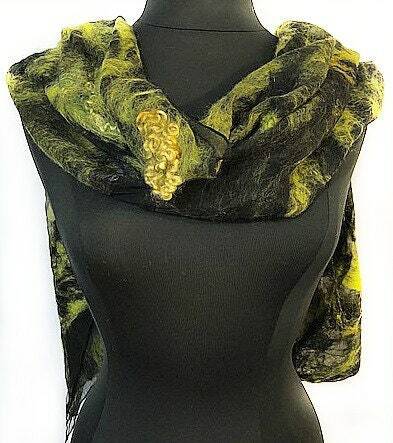 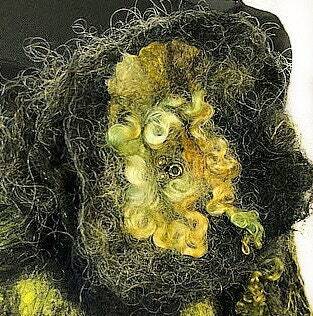 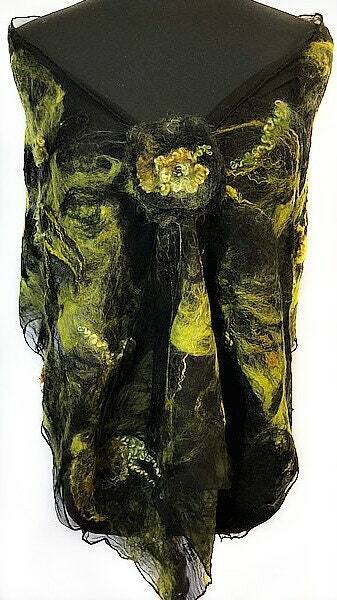 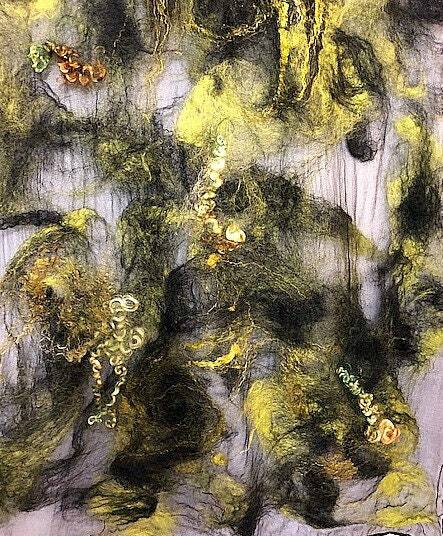 It is made from silk chiffon and natural merino wool fibers using the process of wet felting. 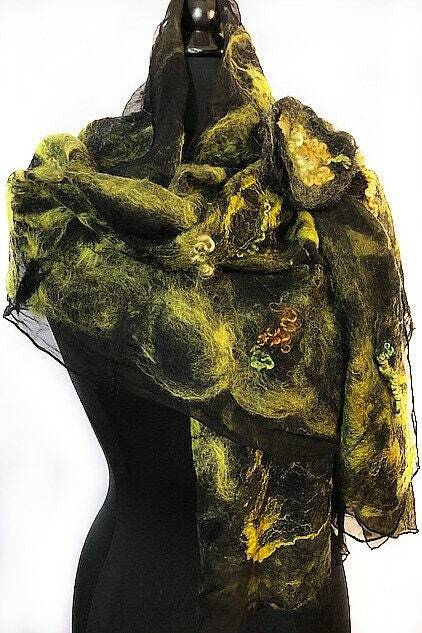 It was finished with lots of silk accents, beautiful hand-dyed wool locks and also includes the hand beaded flower accessory pictured. 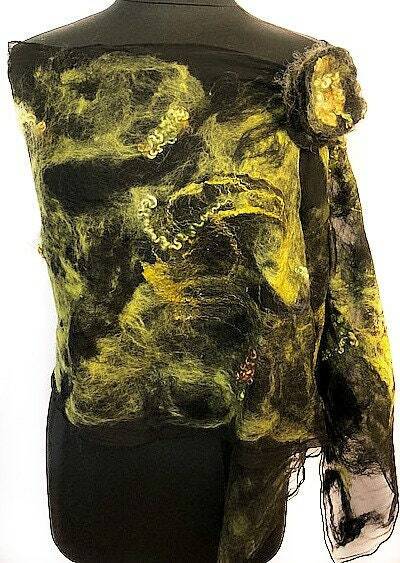 Approximate size of garment is: 18" x 67"
Process photos are also available upon request.